Asia Australia Mental Health was proud to be involved in ROUND 5 of the Australian Leadership Awards Fellowships (ALAF), where the Australian Government sponsored 32 Australian organisations to support 42 programs involving 346 Fellows. Australian Leadership Awards Fellowships are for professionals with leadership roles that can influence social and economic policy reform and development outcomes in a broad range of fields relevant to Australia’s foreign policy or development agenda. AAMH was proud to work with 6 health professionals through AusAID’s support. The funding provided the opportunity for 6 individuals to enhance leadership in Community Mental Health in the Asia Pacific. Watch a short interview with three of our Fellows. Dr. Sau Sokunvadhana- currently working at the National Paediatric Hospital in Cambodia and studying Public Health at the National Institute of Public Health. Dr. Sau spent time in Melbourne with Child and Adolescent Mental Health professionals learning about how the Australian system works with children in extreme stress, looking to enhance paediatric clinical practice in Cambodia by adapting key interventions on psychological crisis intervention. Dr. Sau will be involved in the project to evaluate an AusAID funded project underway in Cambodia- Protecting Children’s Mental Health in Extreme Stress Project. This ALA Fellowship has allowed Dr. Sau the opportunity to study, to contribute to finding ways to scale up the existing mental health services and to assist in strengthening existing systems and leadership capacity in Cambodia to support children in disasters. Professor Erdenebayer Luvsandorj is the General Director of the National Centre of Mental Health, Ministry of Health, Mongolia. Together with Dr. Altanzul Narmandakh, psychiatrist from the Community Mental Health Team, Professor Erdenbeyer works in the sole mental health hospital in Mongolia which has a population of 2.7 million. With many living in rural areas and 20% of the population living a nomadic life, hospital based mental health care is insufficient for the developing country with low average incomes, and recent major socio-economical changes. Professor Erdenbeyer and Dr. Altanzul have been collaborating with Asia Australia Mental Health on the Asia Pacific Community Mental Health Development Project. More information is available at the APCMHDP section regarding their example of best practice with a community-based psychosocial rehabilitation program in tented, portable round houses called `gers’ in local areas of Mongolia. Dr. Than Thai Phong is the Vice Chief of the Community Mental Health Unit, Vietnam National Psychiatric Hospital. He is currently undertaking a PhD in Viet Nam and is involved in a national mental health reform program to establish an integrative model of mental health care in Vietnam. In particular, he has been developing a pilot project to establish basic mental health care accessed from Government run primary health care centres. The key challenges for his work are lack of financial resources, mental health workforce and community support. Skilled workers and education are needed especially to develop family and patient support to help care for seriously mentally ill patients in the community. 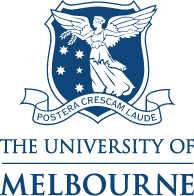 The Australian Leadership Award Fellowship allowed Dr. Than to attend an intensive course Essentials of Mental Health Research through the University of Melbourne and to consult with Australian researchers, consultants and mental health professionals involved in designing and implementing national population health studies. Dr. Suman Sinha currently works as a Consultant Psychiatrist and Mental Health Consultant to the Directorate General of Health Services in the Ministry of Health and Family Welfare, Government of India. Dr. Sinha is involved in the Government of India’s major revision to the National Mental Health Programme, which looks to improve community mental health services and increase the numbers of trained mental health professionals in India. The ALA Fellowship provided a timely opportunity for Dr. Sinha to research models of mental health specialty care, to investigate the types of partnerships and collaborations existing in the Victorian Mental Health system, and to assist in the development of a sustainable field based model of mental health suitable for India. Professor Ma Hong is the current Director, Department of Public Mental Health, Institute of Mental Health, Peking University. Ma Hong is a key figure in the national mental health reform which is underway as a result of the Government of China investing 3.7 billion into its more than 200 public health programs including 6,860,000 RMB into mental health training in 2005. There have been other productive visits, successful projects and rich collaborations between Ma Hong’s Institute of Mental Health and Asia Australia Mental Health. The Australian Leadership Award Fellowship provided the opportunity to build on the strength of the relationship between the 2 countries, expanding the friendship, and adding depth and meaning to the partnership. During this Fellowship, Ma Hong visited Goulburn Valley Mental Health (Shepparton) and experienced unique exposure to the strategies used in Australian rural areas to support national and state government mental health initiatives, in light of particular rural issues such as health disparities, access, partnerships, health literacy and impact of chronic and acute environmental conditions.